Entrepreneurship has its perks and challenges no matter what industry – or what stage of life you’re in when you venture down its path. Young and not-so-young entrepreneurs succeed. Young and not-so-young entrepreneurs fail. It seems, however, that having some years behind you might be advantageous if you’re considering starting a business. While the majority of seniors are retired or not working otherwise, those who do work show a high level of entrepreneurial activity. The report also shares that more than 42% of working seniors run established businesses and one-quarter plan to start their own businesses within the next three years. So what might you expect if you’re retired – or nearing retirement – and thinking about launching a business of your own? Entrepreneurs who have completed careers elsewhere bring with them many life and professional experiences when they start their businesses. Younger entrepreneurs generally won’t have as broad a frame of reference to tap into as they make decisions. Entrepreneurs who start their businesses in their retirement years have learned that good things take time. They realize instant gratification isn’t a realistic expectation. As phenomenal as they think their business ideas may be, they realize it’s important to look before you leap. Unlike younger entrepreneurs, they don’t have the luxury of 40 more years to try things, fail, and try new things, so they exercise caution and do their due diligence. Because they’ve worked a full career and have been saving money, entrepreneurs who are retired are often more likely to have a strong financial base than younger entrepreneurs. Some are fortunate to have pensions that generate some income for them as they’re starting their businesses. Starting a business after retirement is a choice for many older entrepreneurs. While they may have had their fill of working for others, they’re not ready to just kick back and relax. They WANT to work – but they want to do it on their own terms. With life-long experience getting along with bosses and other employees, retirees have dealt with the good, the bad, and the ugly in business settings. They’ve learned diplomacy and how to be effective in their jobs amid personality clashes and disagreements. Having worked for “the man,” entrepreneurs who retire from corporate settings fully appreciate the autonomy and responsibility that comes with running their own businesses. They embrace the accountability. They also respect and don’t abuse the flexibility of being their own bosses. As their own bosses, post-retirement entrepreneurs often find themselves working harder than they did when they were employed. While the work is more gratifying, it’s far from easy. Bad habits and mindsets are hard to break. While they have a lot of valuable experience, post-retirement entrepreneurs sometimes bring counterproductive habits and perceptions to their new businesses. It can take a lot of effort to “think different” and change approaches and methods. Entrepreneurs who start businesses after retirement don’t have as much of a timeline to work with to grow their businesses and take them to the next level as do younger entrepreneurs. That can serve as a source of frustration for those who have a vision of their venture’s full potential, but who realize they may not attain it due to limited time. While some entrepreneurs start businesses post-retirement because they want to do something worthwhile and productive with their time and talent, some do it out of necessity. Entrepreneurs who need the income to survive deal with the stress of knowing their livelihood is on the line if the business fails. Take responsibility for not only what goes right, but also what goes wrong. Sometimes wait longer than you want to for your efforts to pay off. Do your homework before you make key decisions. Accept that success is not guaranteed. You’ll need to work harder than you’ve ever worked before. Paul and Karen Wentzel – Owners of Coastal Winds, Port Isabel, TX. Husband and wife entrepreneurs Paul and Karen Wentzel went from management roles in a manufacturing environment to opening their own retail home décor and gift shop – just minutes from the Gulf coast sand and surf. Aptly named Coastal Winds, the store has become known for its unique merchandise, which includes its famous Texas-made chainsaw-carved wooden pelicans. Chef Steven Crowe – Owner of Crowe’s Traveling Cuisine, York, PA.
Steven Crowe ended a 23-year-long career as a Correctional Officer at a county prison to become “Chef Steven Crowe.” While still working at the prison, Crowe studied and got his degree in the culinary arts. Shortly after retiring, he started out on his own as a personal chef. Crowe’s Traveling Cuisine specializes in creating customized healthy meals on-site at people’s homes. Max Keever – Owner of Timberline Healthcare Consulting, Inc., Wernersville, PA.
After Max Keever retired from working for someone else in the insurance profession for 40 years, he started his own business, Timberline Healthcare Consulting, Inc, in 2004. Rather than feeling the need to do something completely different, he wanted to continue working in the same field – but under his own terms. His company serves the unique needs of small business owners as they explore health insurance options for their families and their employees. Starting a business is not retirement! Agreed! But people who retire from other careers sometimes make the decision to start businesses. 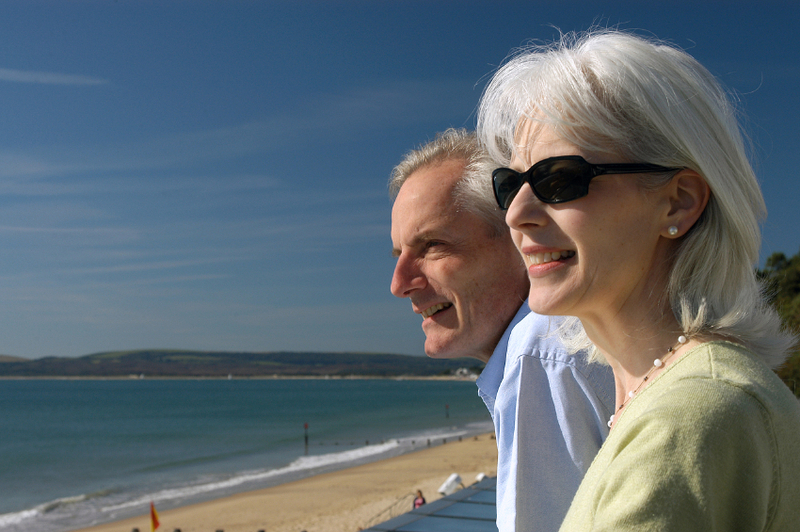 Their lifestyle certainly isn’t the same as what most retirees have chosen. Great post, Dawn. Having just turned 49, age is something I think about a lot. It scares me to see so many people starting businesses right out of college, but I sometimes wonder if I’m too old to be starting a business. I like how you point out the advantages and disadvantages of each age group, and I’m especially happy to realize that I do have some of the good qualities typical of older entrepreneurs. Thanks, Jessi! I think it all depends on the individual more so than the age. And the type of business can make a big difference, too. Different types of businesses require varying degrees of effort, attention, and physical demand. At any stage of life, I think it’s important to be honest with yourself about your needs, goals, and expectations before embarking on entrepreneurship. Thanks for your comment! My grandfather was in maintenance for a large grocery chain prior to retirement. It was natural for him to continue being a “handy man” to people in the neighborhood, and word spread about him where he built up quite a clientele. While not a strategy for starting your own business after retirement, I think that the take away is that soon-to-be retirees should look at their talents and passions and make plans after retirement to see them come to fruition. My grandfather maintained the spring in his step until the day he died because he was “needed” and continued to be a contributing member of society. Thanks for sharing your grandfather’s story, Corey! Through it, you brought attention to another perk that surely other post-retirement entrepreneurs experience as well. Happy New Year to you!